Well this Nyack Street Fair is the final one for 2017.The weather is a bit in question. 50% chance of rain, but we Nyackers remain optimistic. Bring your dancing shoe as there will be live music to get your groove on. and Featuring over 300 vendors the fair takes place from 10a-5p Sunday Oct. 8 and is sponsored by ACADA of Nyack. Remember.dogs are not allowed at Nyack Street Fairs for safety reasons.. Kid’s will be entertained at the “Kid’s Zone” showing a variety of inflatables set up by “A Total Jump” in the Main Street parking lot. 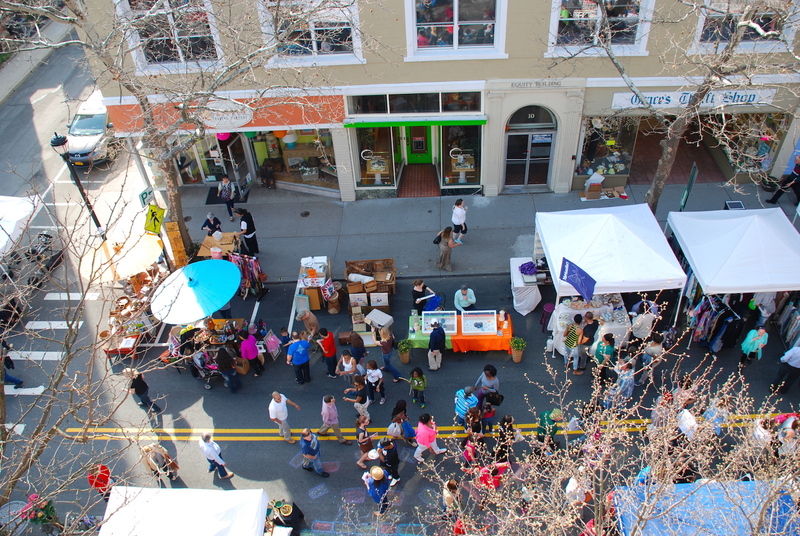 Thinking green downtown Nyack is transformed into a car-free pedestrian mall for up to 25,000 people during the street fair. When you are tired of browsing stroll down to see the river at nearby Memorial Park, visit Nyack Beach State Park or hike Hook Mountain.